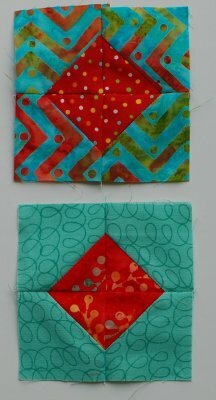 I am rounding out the layout with another set of blocks. First are the two Bathing Beauty blocks. A few years ago when I was teaching in southern Virginia, we stopped into a Nautical Museum. They were running a special exhibit on the history of the bathing suit. That was so educational! It was really interesting to read how the bathing suits had changed over time, and seeing them in a very interesting beach display was a fun way to learn about them. Isn't it hard to imagine going to a hot beach all covered up? I found a few vintage photos to share. The lady splashing in the waves with her 'winter muff and scarf' is from 1918. And the group on the wall is Atlantic City 1922, then I found a vintage postcard of girls in striped suits. I really love the stripe swim suits! 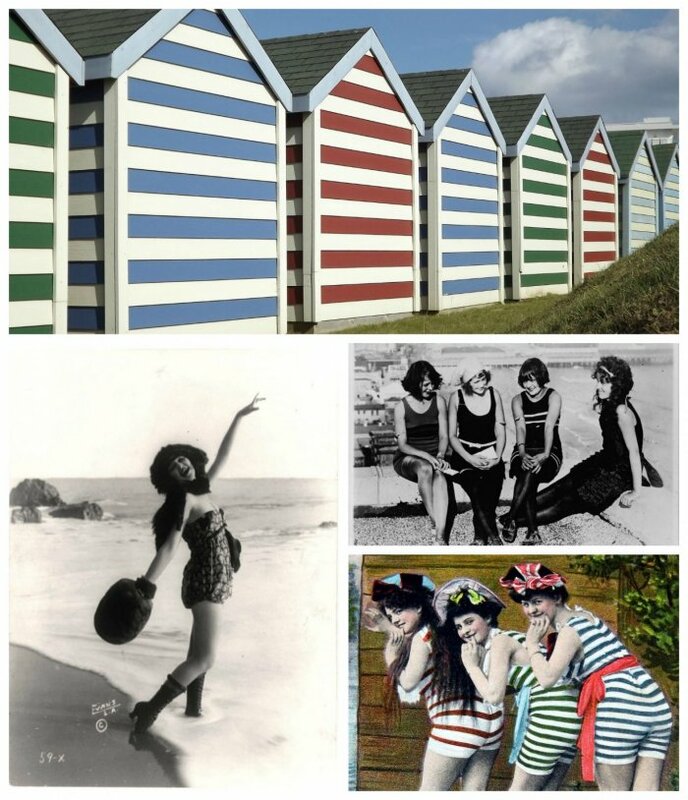 The stripes got me to thinking about the beach huts in England. They have loads of these little cottages lining the beaches. I think we should have them here, it would make it so colorful at the shore! I am in love with Seashells. I have a small collection of them I keep in this bowl. 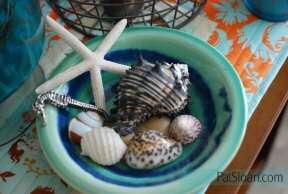 I think I must have collected my first shells when I was very small and we walked to the beach from our apartment. I love the colors, I love the texture, and I love the hunt! When you are in a beach town, and I'm pretty sure this is ANY beach town, there are shops with Seashells. I actually have a Seashell mirror in my hall, it's amazing! I've seen trunks, and tables and lamps crusted with seashells. It's such a great item to have in a beach décor, then you are on vacation everyday you walk in the room! This wraps up all the blocks for our quilt top. I think 'Vacation next 12 Exits' sums up a Block of the month pretty well! There are so many GREAT color combinations made that my head spins with ideas! I'd love to do another 2.. or 10.. after seeing yours, do you feel like that too? 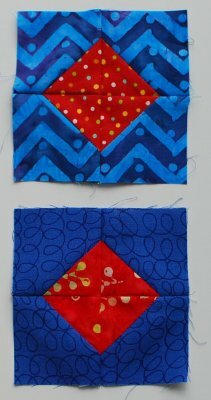 The two bathing beauty blocks are the same for the Aqua or Navy colorways. When you make the seashell blocks, they are either Aqua background or Navy Background. For our Vacation time quilt I used a solid fabric border. Many of you are using your stash, so now is the time to start looking for a great print to frame your top! The sizes for everything are in the pattern above. In November I'll have a post to share the quilt top, and then our 2016 Mystery Supply List will be revealed later in November, are you as excited as I am? 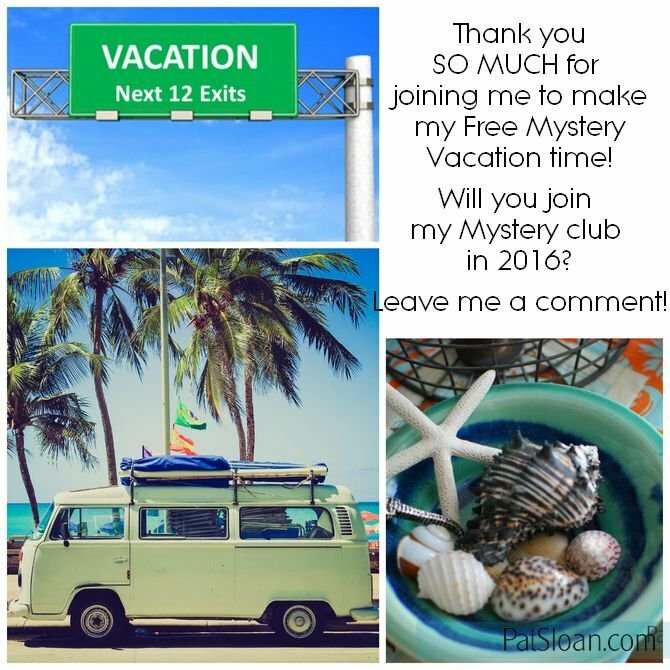 I'd love to know.... Will you be joining me in 2016? Please leave a comment! 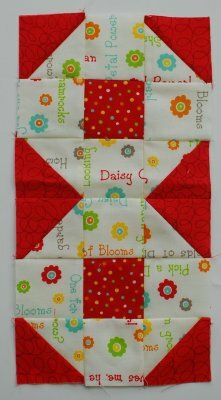 More from Pat - Visit All My Posts About Our Sew Along! Click here for my page on the Final Blocks and Setting - Are You Ready?